Size: 176cm. New to Volkl's line of front-side carvers is the 3D. Glass sandwich construction. Plus, to combat chatter and vibrations on steep and icy trails, you've got a UVO vibration dampener towards the tip that'll give you a smooth ride and unaffected ride, making it easier to hold an edge wherever you are on the mountain. Lowest price and best selection for spring skiing! NEW! Size: 188cm. [188cm] 133 / 97 / 122mm. With a generous 97mm waist this ski can easily handle just about all snow conditions. Turn Radius. All bicycles are sold as is. Faction was even able to add a titanal plate where you mount your bindings so they don't pop off after a few seasons. The ski's Microcap construction is similar to a durable sandwich construction with vertical sidewalls, except the edges dip down ever so slightly to increase durability. Brand New 2018/19 K2 Catamaran Skis 184cm. Condition is New. Shipped with USPS Priority Mail. Size: 153cm. Manufacturer: Nordica. Provide our staff with Salt Lake City, Utah 84116. 431 N Wright Brothers Drive. Pickup Location Local Pick-up. RC4 World Cup RACECODE. Fischer RC4 16 race bindings. length - 158cm. Fischer's high-end World Cup race skis are the stuff of legend. Take it to the next level on the course this season. The used skis and bindings are in good condition. The lively, lightweight, and sustainably harvested wood core is fortified with fiberglass and a low swing weight, so you can continue to push your limits riding white waves. Size: 191cm. Low swing weight for a playful feel. Condition is Used. Includes Marker Baron Bindings. 2019 Blizzard Bonafide 180cm Skis with Marker Griffon Grip Walk Demo Bindings. Demo skis from my shop in Highlands Ranch Colorado the Ski and Boot Lab. These have very little use and are in great condition. No edge damage or core shots. Top sheets have some normal scratching but nothing severe. Shipped with USPS Priority Mail. These Head iTitan SuperShape Graphene skis are a versatile ski useful in varied snow situations. If you will have only one ski this is a good candidate for you to select. Or if you want a versatile ski as your "go-to" this is a good choice. Manufacturer: Nordica. 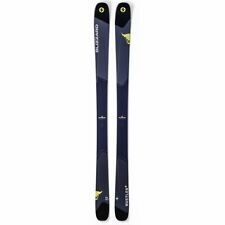 Includes Nordica 819678-160 Enforcer S Skis. Size: 160cm. Model: 819678-160. Provide our staff with Salt Lake City, Utah 84116. 431 N Wright Brothers Drive. Pickup Location. Elan Women's 'Twilight' flat skis, 164cm. Condition is Used. Shipped with USPS Priority Mail. 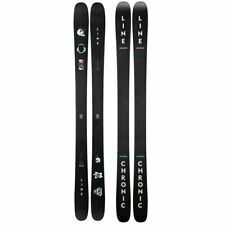 Black Crow Atris 184 Skis with touring bindings. Used under 20 days. Some scratches on the ski but not near core. Sharp edges. They ski great I just want skis more for freestyle. They’re also great in powder. Bindings are Solomon Guardian touring bindings. Great for regular all-mountain skiing or for backcountry. Volkl V-Werks Katana 177cm With Marker Kingpin 13 Bindings mounted at 316 BSL and then later adjusted to 326, but only drilled once. I don’t have a pic of them but they’ve never beet put on or even taken out of the bag. He has now outgrown it. Skis, bindings and poles are all clean, in very good shape and fully functional. Both pairs in great condition. Prepped, tuned and waxed by a World Cup technician. They've been mounted once with Fritche Eagle 12 bindings. Phenol sidewall. Strong Graphite Base. Final spring clearance sale on now! Condition is Used. Line it up straight, pin 'er all the way through, and turn things up to 11 on the Armada Invictus 108 Ti Skis. The Invictus 108 Ti Skis from Armada want to do one thing: run free. Used 2017 SALOMON QST 106 SKIS, 181 CM. Overall excellent condition with less than 20 days on the mountain. Warden 11 bindings. One small hole filled with PTex as shown and one surface scratch. Freshly tuned at St. Bernard sports in Dallas, TX. Shipped via FedEx. REDSTER SL FIS. The Redster SL FIS is a high performance race ski for SLALOM racers who aspire to race at the highest level. Length: 155cm - Radius: 12.3m. FIS NORM (for model year). ATOMIC X16 race bindings. Lightly Used Ramp Kapow 189 W/ Marker Griffon Bindings. Condition is Used. Shipped with USPS Priority Mail. These are a big super fun ski. Don't let the 189cm length scare you, these skis have a ton of rocker and ski much shorter than that. They have a big 125mm waist for tons of float. They are already mounted with a marker griffon binding and are mounted to a 306 boot sole length. These things have been meticulously taken care of and I've only skied them about 3 times. They've been waxed probably close to 20 times and those bases are gonna be super fast. Overall, if you're looking for a dedicated powder ski at a goos price, these are your skis. Trending at $295.00eBay determines this price through a machine learned model of the product's sale prices within the last 90 days. The Funslinger is described this way : This board has a soft flex, crazy bite for amazing freestyle performance with a snappier feel. If the model isn't listed, we don't carry it. SALOMON S912 TI PILOT bindings. Salomon's Pilot system lets the bindings flex freely across the surface of the ski, preventing a dead spot beneath the boot. Beveled and recessed edges combined with racing base structuring help to optimize edge grip and providing a smooth ride in all snow conditions. DPS Wailer 106 Tour 1 - 185cm. Backcountry ski. Condition is 1 season Used. Great for ski mountaineering. Light skis with light bindings. Ski effectively and nimbly. In great condition all around. The Kastle MX89 is pure and simple a solid upgrade to the world famous Kastle MX88. Quite simply the MX89 is the all-mountain GS ski that can take you as far as you want to go. SKU 101522 KA. 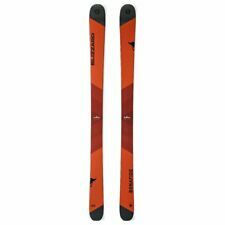 2017-18 Kastle MX89 Skis 164cm with Attack 13 Bindings - White/Orange/Black - USED - Standard. Volkl Katana Skis 198 cm with Marker Jester Binding - Excellent Condition. Condition is Used. Shipped with USPS Priority Mail. Volkl Confession 186cm Brand New 2018-2019 Ski. Condition is New. Shipped with FedEx Ground or FedEx Home Delivery. 2019 Rossignol Sassy 7- with integrated bindings- NEW! You asked for it, and like a poltergeist ‘it’s back’. If the model isn't listed, we don't carry it. Skiis have not been used much at all. Minor scratches on surface and base. ski blades with bindings. Condition is Used. Shipped with USPS Priority Mail. K2 Poacher Twin Tip 184cm Brand New. When you have the right gear, few things are more fun than skiing. Whether your favorite trail is the back side of a remote mountain or a ski run at your local resort, you never feel so alive as when you’re gliding down a snowy slope. Good equipment is essential, though, and the most important equipment of all is your skis. What are downhill skis made of? Originally, skiing equipment was carved from a single plank of a hardwood like ash, hickory, or birch. In the late 19th century, Norwegian ski manufacturers began using laminated wood, which resulted in equipment that weighed less and was more maneuverable. In 1950, an American engineer designed the first ski to use aluminum around a core of lightweight wood. The aluminum exterior was coated with a phenol formaldehyde resin, which allowed it to be waxed; waxing improved friction performance coefficients on snow. By the 1960s, fiberglass had replaced aluminum in the manufacture of skiing equipment. Innovations in ski engineering and bindings for ski boots have focused on the development of composite materials that are even more lightweight as well as the development of parabolic ski designs that allow skiers to turn more easily. How long should your downhill skis be? Shorter downhill skis have a smaller turn radius, so they’re generally much easier to maneuver. This is why less experienced skiers often prefer them. Longer skis, however, tend to be more stable at higher speeds. Ski sizing for adults: The rule of thumb when choosing a ski is to pick one whose tip comes up to your eyes when you hold its tail on the ground. Skiers who weigh a bit more may want to go with a slightly longer ski since their body weight will help leverage that longer ski when they’re making turns. Ski sizing for kids: Children younger than 12 should start with a shorter ski because a shorter ski has a smaller turn radius, which makes it much easier to maneuver. For a child under 6, the tip of the ski should reach the child’s chin when it’s balanced on its tail. For children between 6 and 12, the tip of the ski should touch the child’s nose. What are some of the different types of downhill equipment? Alpine skis: Alpine skis are the most basic type of downhill skiing equipment. Three criteria will determine the type of equipment you buy: your level of proficiency, the type of terrain you’ll be skiing on, and your own height and weight. Freeride skis: Freeride skis are designed to handle mountain runs. They tend to be wide so that they’ll handle well under a range of snow conditions. Most skiing equipment of this type has a waist width that measures between 100 and 125 millimeters. Powder skis: Powder skis are designed to skim effortlessly over deep packs of snow. Many winter sports enthusiasts choose this equipment as their main driver. This Presidents' Day celebrate the country. Shop for deals on clothing, furniture, electronics or downhill skis to help you along the way.